This was a test to see how some new art materials worked together. The paper is an off-white charcoal paper with a rough texture. I tried a variety of charcoals and erasers on it, but first I made a light pencil sketch outlining the clouds, trees, and reflections. Then I started light with vine charcoal. On smooth paper I can put vine charcoal directly on the paper and blend it out evenly with a paper towel. I tried that in the sky on the left above the trees and discovered that this paper having a rough texture does not blend smoothly. The initial marks stay put. So, for the rest of the drawing I scribbled vine charcoal on a separate piece of paper, picked it up with a paper towel and then applied it to the drawing with a light circular rubbing scrub building up the clouds and their reflections in the water slowly. Next I did the trees and their reflections using vine charcoal directly on the drawing and blended with a small tortillion (a pointed paper stub). You cannot get a deep black with vine charcoal. So, I switched to using a dark charcoal pencil and for the deepest black I used water-soluble charcoal activated with a moist waterbrush. I discovered that once water-soluble charcoal dries on this paper, it does not erase. The best I could do was to lighten the tone slightly. I needed to be careful about where I added the darkest blacks. I did this drawing in two sittings over two days. I like to start a drawing one day and finish it the next. That way I have a chance to see the drawing with a fresh eye. I often catch things that need adjusting, things that I would likely miss if I tried to finish in one go. In this case I let the darkest blacks in the water go until the next day. I wasn’t sure how dark they should be. The color reference photo had a lot less contrast. After sleeping on it, I decided to push the contrast – make the darks darker. It tells the story better of deep, cold water. Materials: Strathmore 500 series 9×12 inch charcoal paper. 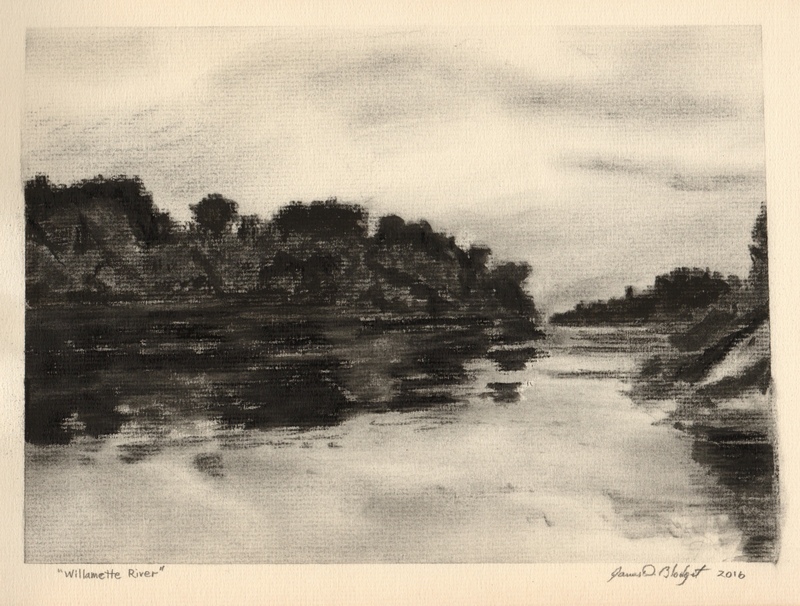 Image 7.5×10.5 inches (19.7×27 cm). Vine charcoal in a homemade reed holder, Derwent Dark charcoal pencil, Art Graf water-soluble charcoal tailor shape block, small tortillion, Tombow Mono Zero eraser and Derwent #2 waterbrush.